More than 100,000 buyers use Clutch every month to find business services, software, or consultants. By creating a company profile and submitting client references, you’ll hear from customers who are actively looking for the services you offer. Looking for qualified leads or new projects? Create a company profile to connect with business decision makers who are ready to buy and actively looking for the services your firm offers. Want to show up in Google when customers search "company name + reviews?" 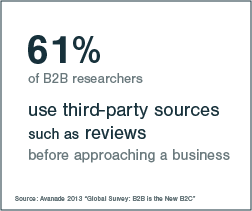 Increase your online visibility by letting Clutch collect and verify reviews for your business. Our research shows that the number of high-quality reviews from real clients boosts a firm’s visibility online, so we take extra steps to keep the review process personal and professional. Are you a 5-star business? Build trust in your brand by showcasing your star-rating using a Clutch widget, a standalone application that displays your star ratings and/or reviews on your site. Implementing a widget is an easy, 4-step process, and we offer 5 different designs. Looking for more opportunities to market your company? 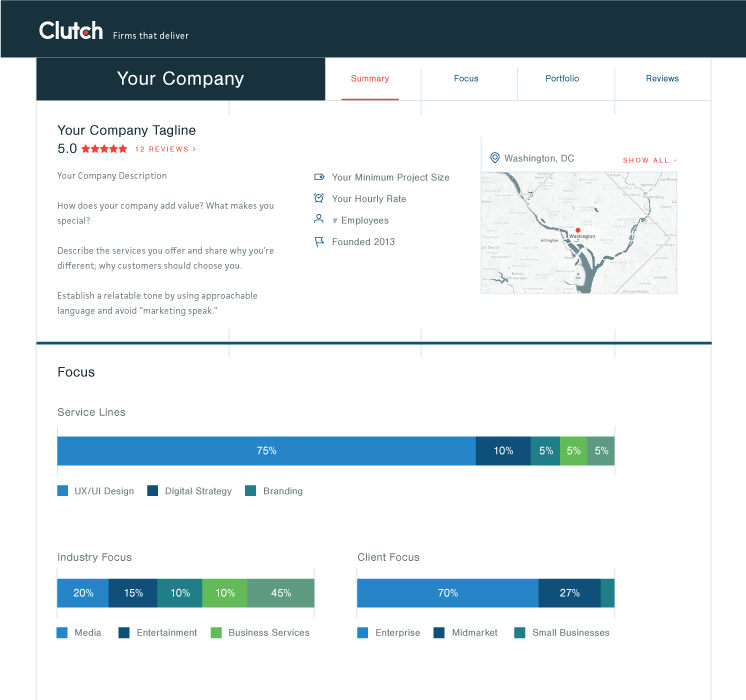 Show your firm's leadership in the industry by partnering with Clutch to market your company.